Still warm from the oven, this applesauce would make a great side to a fall dinner, even on a fall-feeling late summer day. Left to rest in the fridge overnight and then enjoyed as you will, the flavors have blended and developed, and what I thought was mebbe a touch too much brown sugar has been mellowed with the cinnamon and ginger and ground cloves. 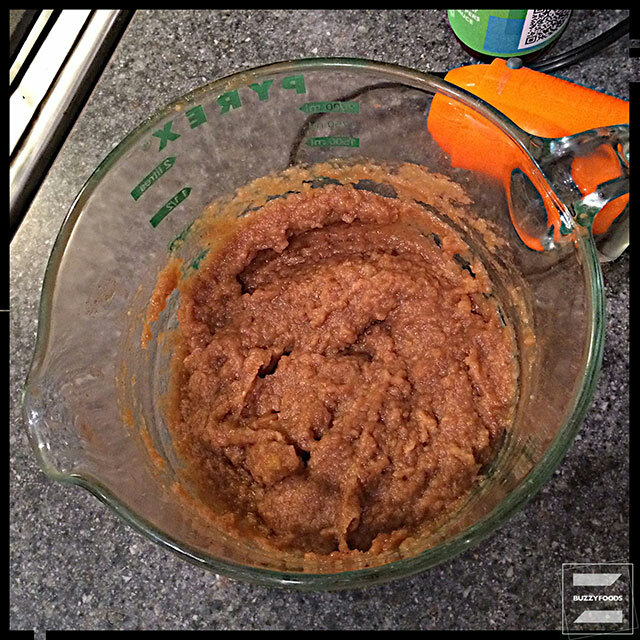 Yeh, there may well be 1/4 cup of brandy in this applesauce, and any alcohol has been baked off, but this is not your momma’s applesauce! Actually, it’s my mom-in-law’s recipe clipping from Martha Stewart, and it beats anything you may have tried from a supermarket shelf – and many from a farm market shelf, too. Peel, core, and cut into apples into eighths. Combine the brandy, cinnamon, cloves, ginger, lemon juice and zest, brown sugar, and butter in a large baking pan and allow the butter to melt. 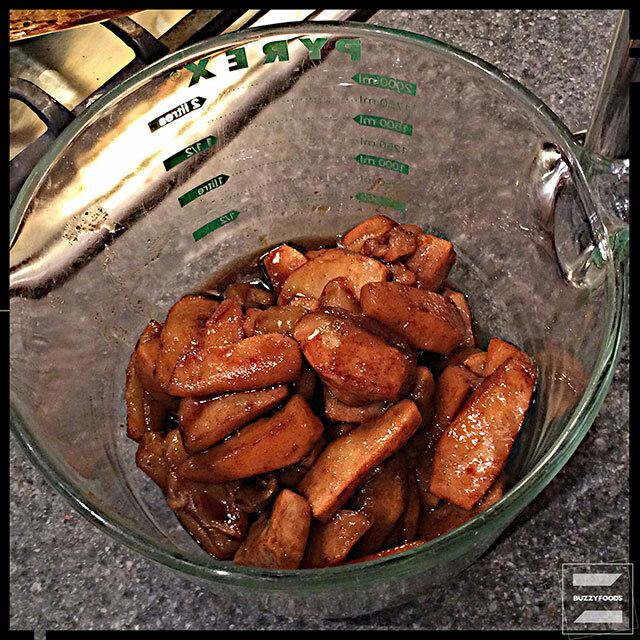 Bake for 30 minutes, or until the apples are very soft and golden brown – mine took 45 minutes. 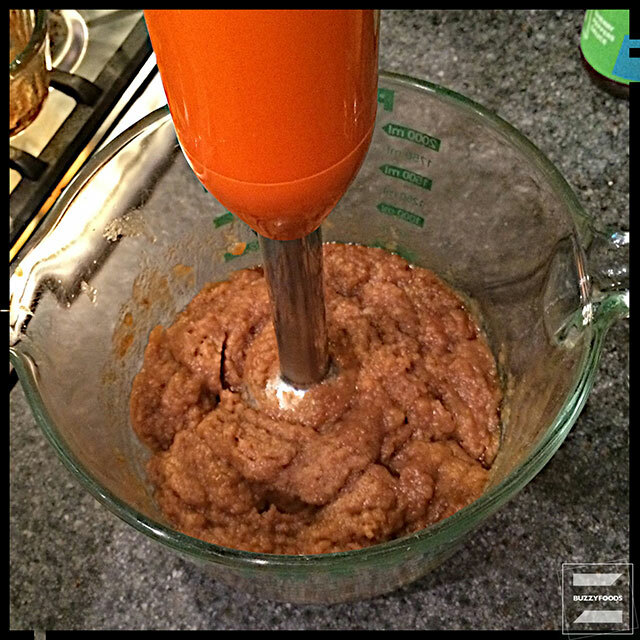 Transfer to a food processor (or, to a bowl and blend with an immersion blender) and pulse until smooth, then stir in the salt. Ms Stewart says to serve this warm, but I really did find it a bit too sweet fresh from the oven. Much more better, I believe, to let it rest overnight and then serve it – go ahead and gently rewarm it, if you like, but I’m thinking this would be a welcome room temperature addition to lunch, or spread on toast for breakfast. 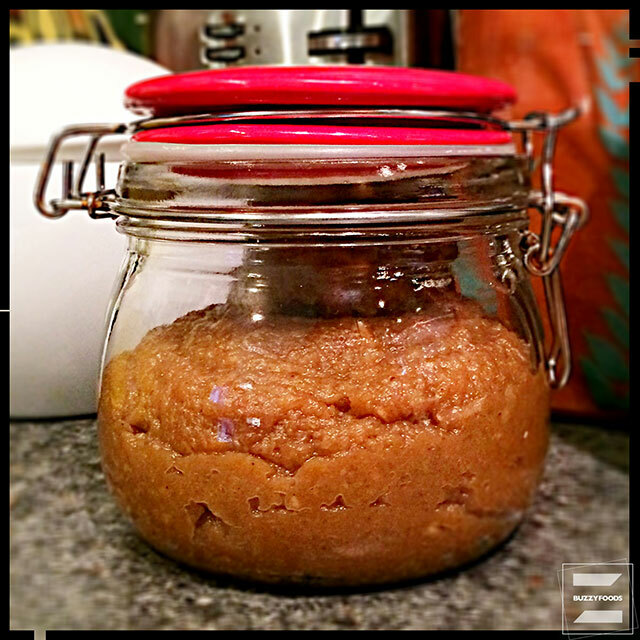 Note: I’d thought to mebbe can and save the applesauce in the pantry, but this recipe makes almost one pint, not really enough to bring out the canning pot. Got a lotta apples to use up and preserve? Yeh, this is your recipe. 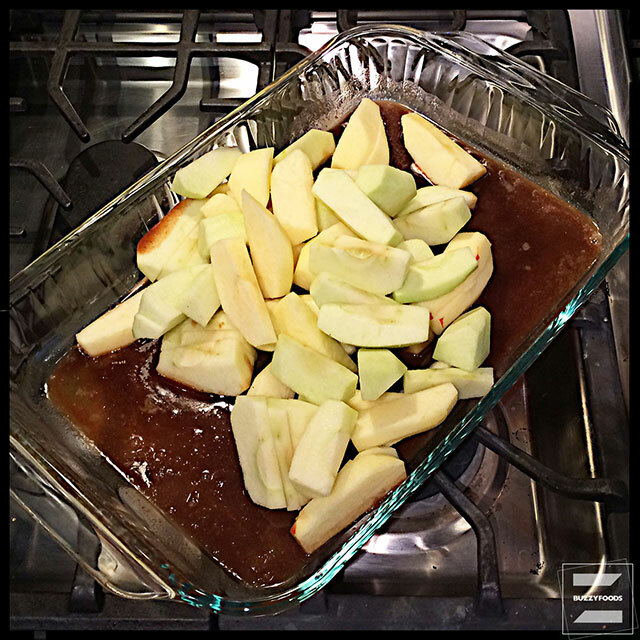 This entry was posted in Fruit, The Doris Project and tagged apples, Applesauce, Brandy, Brown Sugar, Cinnamon, Cloves, ginger, Roasted Applesauce, The Doris Project. Bookmark the permalink.